I had a little ladies’ Christmas brunch at my house the other morning to get some of my favorite moms together before all of our kids started winter break. I wanted it to be casual and fun and not a lot of work for me! Is that bad to say?? I was planning on making a couple of quiches but I quickly remembered my last attempt at making quiche for a party … crumbly gluten-free crust. Ugh. I didn’t want to risk that again so I decided to go crustless and make these super cute muffin cup mini quiche things. 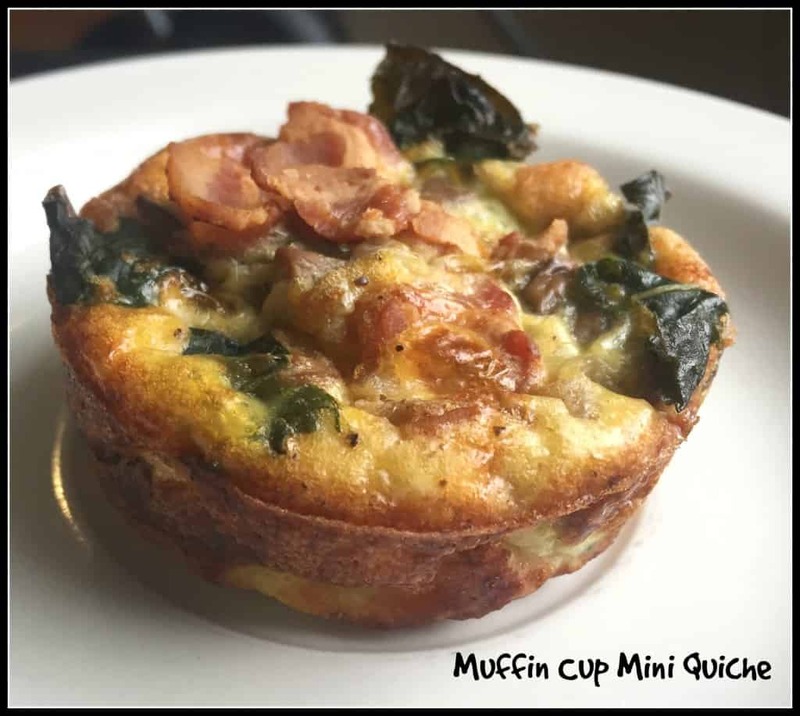 Muffin Cup Mini Quiche – A Party Favorite! No crust, gluten-free, lots of flavor, portable. You don’t even need a fork. In fact, a fork will just get in your way. I made these yummy little muffin cup mini quiches the night before the party and they were ready to go at room temperature the next morning. This recipe, like all quiche recipes, is very bendable to your likes and dislikes. I love greens and mushrooms in my quiche and I happened to have a bag of freshly picked mixed kale in my fridge. You don’t need greens although I do think they add a nice bit of color and taste to these mini quiches. I also LOVE bacon. But, if you’re serving a vegetarian crowd, just leave the bacon crumbles off the top. I made two separate pans of quiches – the first pan only used 1/4 cup of milk and I didn’t quite make it to fill all 12 muffin tins. I used 1/2 cup of milk for the second pan and the difference in taste was negligible but I did manage to fill all 12 muffin tins halfway with custard. I also used a little bit more cheese in my second version because I had a little helper shredding! Both pans of muffin cup mini quiche tasted essentially the same. The second version took just a bit longer to cook. Muffin cup mini quiche and fruit. Breakfast. Done! The recipe for these muffin cup mini quiches takes about 10 minutes of action on the cutting board and stovetop and then about 25 minutes in the oven. They come together really fast! These might enter my morning breakfast rotation… the kids loved them, too, and I even had a few left over from the party to hand over at the bus stop in the morning. I am hoping that you are all having many fun holiday parties with friends and family. If you need to bring a dish … try this! 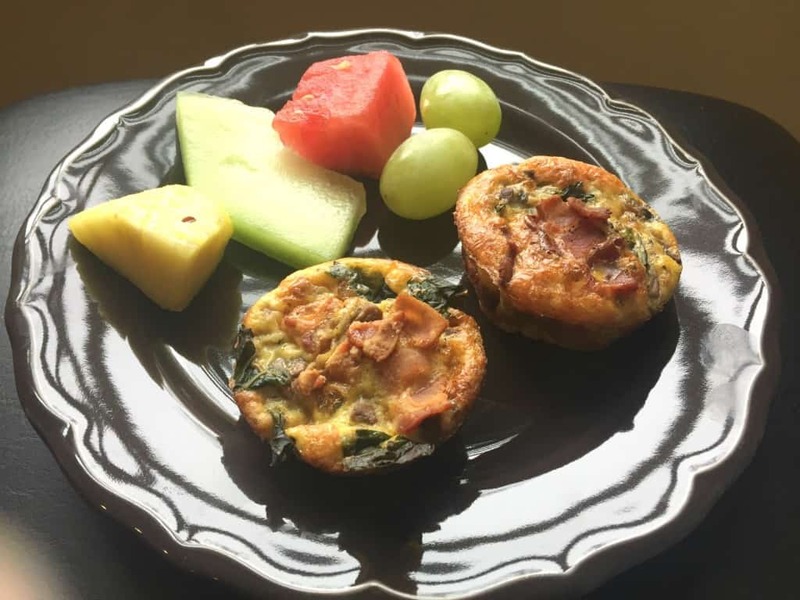 These muffin cup mini quiches are perfect for a party or for your kids to eat at the bus stop! In a large pan, cook bacon. Remove bacon and let cool. In the same pan, saute onion and mushrooms. Add chopped kale. Season with a little bit of salt and pepper. In a large bowl (preferably one that you can pour from), whisk together eggs, egg yolks, and milk. Add cheese. Spray a 12 cup muffin pan with cooking spray. Pour custard into muffin tins almost halfway.Add the kale and mushrooms. Top with bacon. 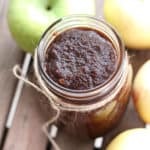 What a fun recipe! Love the “mini-ness” of them. 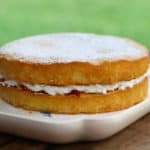 They look so good and are a great way to celebrate…anything! I love muffin quiches! So fun and pop-able! These are adorable! 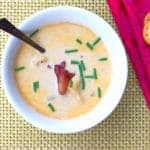 Just perfect for holiday entertaining- an excellent appetizer. Thanks! Love serving a couple cute things on the holiday table! Thanks! 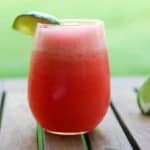 Super easy – kids and adults have loved these. I love to make these little quiche in muffin cups. Thanks for this recipe! I think I’ll make it this weekend! Thanks! It’s so easy! I hope you love it. Thanks! It’s GF without even trying. 😉 My kind of GF! 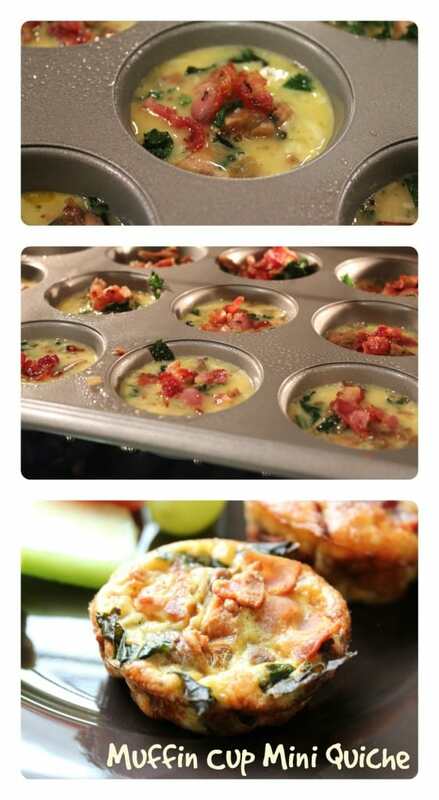 These muffin cup quiches look awesome! I love your combination of ingredients, especially the addition of kale. I haven’t had kale in a quiche before but it sounds like a delicious complement to the bacon! Thank you! So easy! And super delicious. Hope you love it. They look great. I will let you know how it goes. 😉 Have a great day!